Famed beaches and bright white sand, retro cars littering the city streets, history full of revolutions and great stories, and rum and cigars known around the world — that’s Cuba. The island’s lack of American influence over the years means travellers looking to travel for the first time in Cuba should pay close attention to some of the island’s quirks and prepare for travel with Cuba travel tips. In many ways, stepping off the plane in Cuba is like stepping into a page of a history book; an old-time destination. Did you know that it’s illegal to remove the Cuban currency from the island? We have everything you need to know about Cuba in our practical guide about how to travel to the most popular Caribbean island for Canadians. Take our Cuba travel tips and advice and start planning your first time in Cuba. The landscape of Cuba is beginning to change as relations with the United States change and improve. Just since 2015, we’ve seen cruise ships start to visit the island, with Cuban-based companies like Cuba Cruise start sailing around the island, opening up the island to more tourism and visitors. Travel requirements to Cuba: Visas, etc. How do you get the Cuban currency for tourists? Electricity adapters: Do I need one? To enter Cuba, travellers are required to have a visa, or a tourist card. These are only $10 and included in your Cuba all-inclusive vacation package pricing. Once this fee has been paid for your Cuba tourist card, you’ll be given the card itself onboard the plane before landing. You’ll need to show this before leaving the airport to go to your resort. If you lose the card, these can be purchased at the airport. Another travel requirement to Cuba is the departure tax, a fee of USD $25, also often included in your vacation package taxes. Make sure that this fee is covered in your package, or you’ll be required to pay this at the airport upon departure. 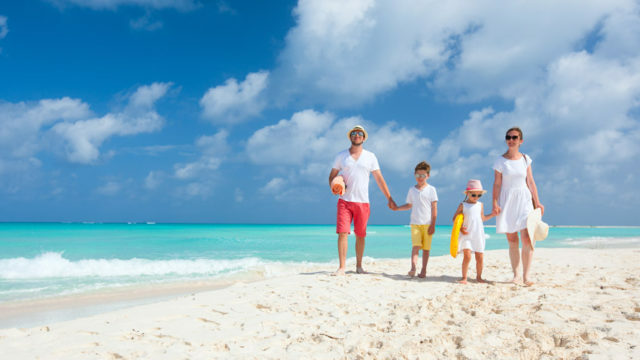 You can purchase your travel health insurance through your credit card or private plan, or through your vacation supplier (ie. 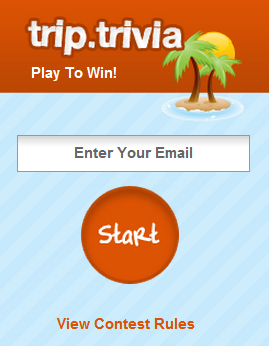 WestJet Vacations) with the help of your travel agent. Don’t plan to do a lot of banking while visiting Cuba. ATMs are few and far between, and bank cards from US banks, such as American Express, are still not accepted. Debit cards and Canadian Money Transfers are also not accepted. The island is mainly a cash society — though some international resort chains will accept major Canadian credit cards like VISA. It is also important to note that Cuban currency for tourists is different than the local currency. What currency to take to Cuba? Take cash in the Canadian dollar. You’re only able to change your money into the Cuban Convertible Peso (CUC), the tourist currency, once you arrive – either at the airport, at your resort, or at a local bank as Cuba has a closed currency. Don’t be fooled by the dual-currencies, too: Cuba has a currency for tourists (the CUC), and a local currency, the Cuban peso. If you show up with American dollars, you may not be able to do the exchange: Cubans get charged extra to change the USD. If it’s your first time in Cuba, don’t be stressed about finding your money. Once you arrive at the airport, you’ll clearly see a currency exchange desk, similar to what you’d find in a Canadian airport or in a Canadian shopping center. It is recommended you bring small Canadian bills to exchange into the CUC. If line-ups at the airport currency exchange are long, resorts will also exchange your Canadian dollars to CUC, though sometimes the exchange rate is higher. 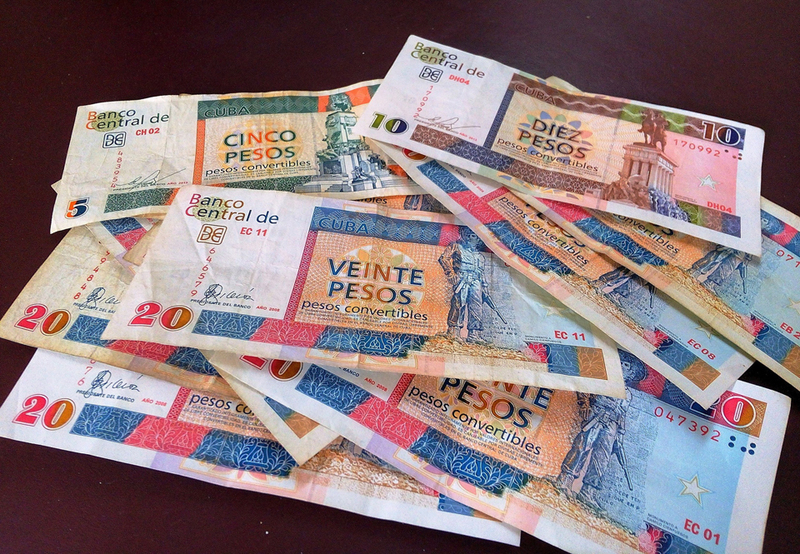 Since Cuba’s currency is a closed currency, meaning you cannot access their money ahead of time like you would if preparing for a trip to Mexico, for example, if you return home with CUC, it is simply a souvenir. It is technically illegal to remove a currency from a closed currency country. Visit the currency exchange in the airport before departing. For an idea of how much things cost in Cuba, keep in mind that 1 CUC is equal to USD $1. Leave your computer and work behind and plan to unplug on your first time in Cuba trip. Internet in Cuba is what one might consider dodgy at best. Cuba does not have unregulated Internet, so even resorts promising WiFi throughout the complex may have slow connectivity or periods where the Internet cuts out. Most Internet cafes in Cuba still run on dial-up. If you’re going to be visiting Havana and might need maps or guidebooks, we recommend downloading these onto a device before departing for Cuba, to use offline. Electricity blackouts that used to be commonplace in Cuba, are not often seen anymore, and most resorts have generators so these blackouts would not be felt by travellers. The majority of Cuba electricity runs on 110voltage, the same as Canada. Some resorts, however, have outlets running on 220voltage, where an adapter would be necessary. Check with your resort or travel agent before departure, or bring an adapter to be safe for your appliances and electronics. Once your trip to Cuba is booked, relax. There are few options for booking Cuba excursions before your arrival in the country. 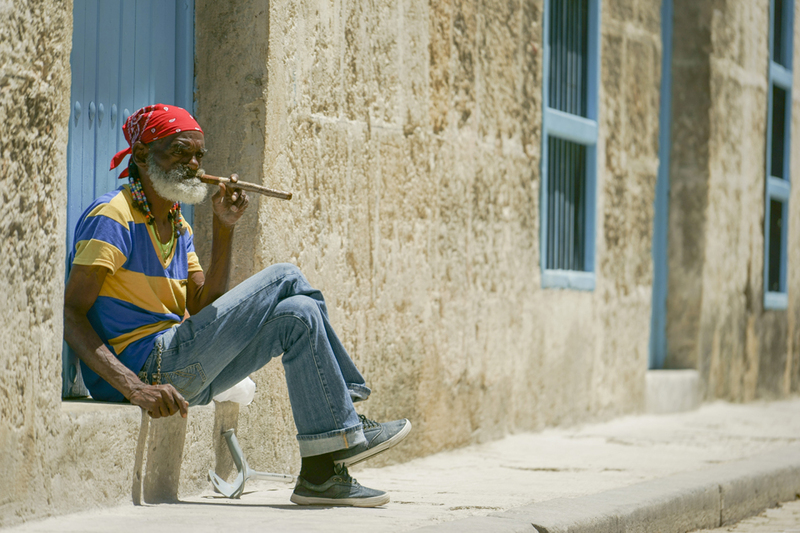 Traveller planners might need to let go of their controlling tendencies and go with the flow – visiting Cuba really is a step back into a calmer, slower way of life. Island time, one might say. Since Cuba has been “untouched” by larger American companies for so many years, there are fewer means of advertising things to do in Cuba and the country’s services. Cuban companies don’t have the capacity to run large websites with booking capability like Americanized countries, with strong Internet connections do. Representatives from Cuban tour and excursions companies will make themselves available at hotels and resorts. Some tours, through NEXUS Tours, can be booked in advance online. Most of the things to do in Cuba off the resort will be included in a tour or excursion package, where transportation is looked after. For travellers visiting one of the cities, like Havana, taxis are available to get from place to place, and to live like a local. 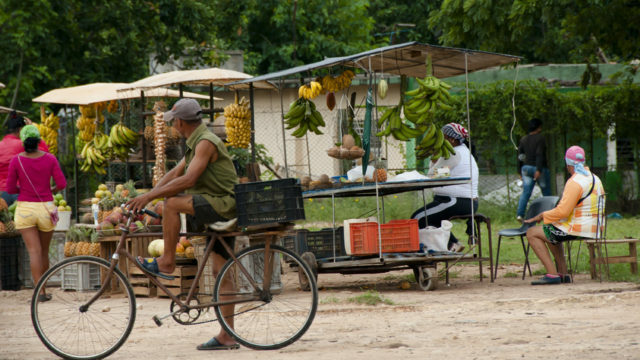 Some areas do still use horse and carriage and bicycle-powered tuk tuks: be sure to set your price before agreeing to the transportation, and don’t forget bartering is acceptable. Want to ride in one of the picture-perfect vintage cars you see in all the advertisements? They’re often only used for set-routes, or sightseeing type drives through Havana and other parts of the island, rather than cars-for-hire to get from point A to point B.
Cuba is known for its culture, history, art, and stunning beaches, but each of the designated “tourist hotspots” and areas known for their all-inclusive resorts offer something truly unique to the traveller. If it’s your first time in Cuba, it might be overwhelming to decide where to stay in Cuba. 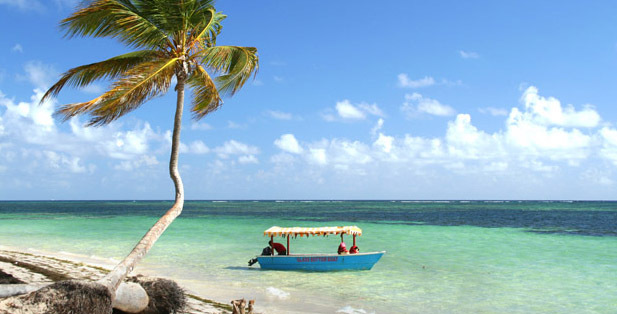 Holguin: Holguin province boasts diving and snorkelling, which is inexpensive here. 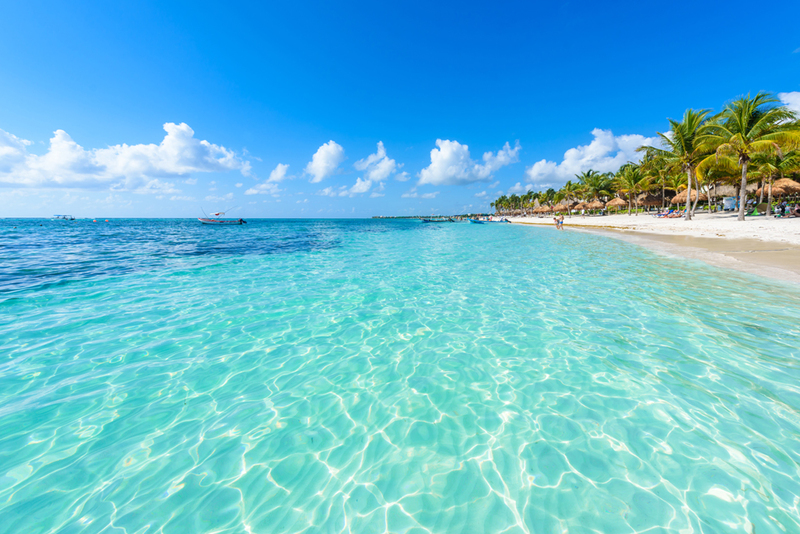 The Holguin area is known for its four popular beaches. Havana: Havana is inherently romantic: it’s a historic city busting at the seams with museums and art galleries. You won’t find beaches in Havana. It’s best for those interested in history, architecture, and boutique city stays. Cayo Coco and Cayo Santa Maria: The Cayos are known for their white, white beaches and the true all-inclusive atmosphere. In Cayo Coco, find plenty of dive sites and coral reefs offshore, while Cayo Santa Maria boasts more underwater life and unprecedented beaches. Cayo Santa Maria is also a popular destination for swimming with dolphins. Camaguey: Plenty of dive sites in the Camaguey area along Santa Lucia beach, and historic city of Camaguey proper with plenty of museums. Resorts are smaller, and older, in this area of Cuba. Varadero: Varadero is the most popular destination in Cuba with over 50 resorts. It’s popular with all travellers, and known for its beaches, diving, eco-tourism. Excursions from Varadero to Havana are also very popular and widely available. Golfers visiting Cuba are going to want to visit Varadero for the only two courses on the island. Varadero is also a popular destination for swimming with dolphins. Cayo Largo: Cayo Largo is a small island off mainland Cuba, with very basic hotel amenities and few hotel options, but the area is known for stunning beaches and blue water. Diving in Cayo Largo is also popular. Cienfuegos: 50 well-known dive sites are in the Cienfuegos area. Hotel options are limited and basic. Santiago de Cuba: This is a small city on the southern portion of the island, with a great history. Hotel options are limited and basic. Holy Week in the Dominican Republic and Cuba – what does it mean? Is it also necessary to have proof of Health Insurance for travel to Cuba on Empress of the Seas or other cruise ships for 1-2 day visits? Are you a writer? Here are 5 literary cities to visit!